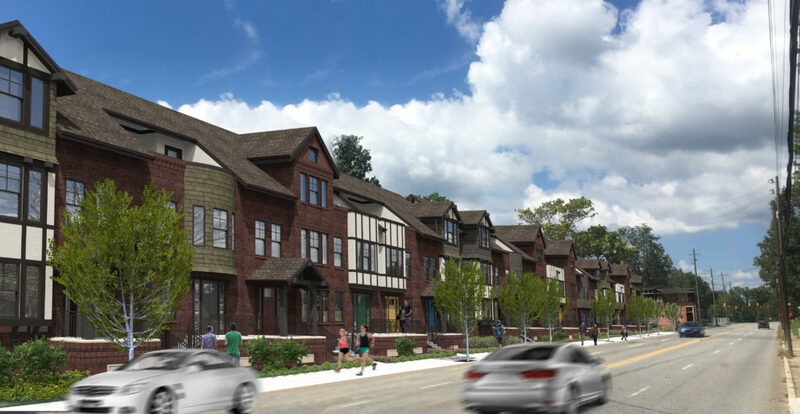 Twenty new luxury townhomes are planned for a section of Broadway Street in Asheville where residential projects are dominating development planning. The project is the second phase of a vision created more than a decade ago by Boulevard Development Group, who built the mixed-use Pioneer Building and opened it in 2008. The Pioneer Building is home to condos, office space and the popular High Five Cafe coffee shop, and the original plans called for the construction of two more large, mixed-use buildings. But it became clear that that type of development wasn’t wanted by the neighboring Montford and Five Points neighborhoods, said Jay Lurie, a member of Boulevard Development Group along with Kevin Kerr and other unnamed partners. “The developers have listened to the community and have settled on a very tasteful architecturally designed low-density residential project,” said Jay Lurie, a member of Boulevard Development Group along with Kevin Kerr and other unnamed partners. The location of the townhomes project is a vacant lot that serves as a parking lot, across Broadway from the Pioneer Building and northwest of the Interstate 204 overpass. The design concept is “Brownstones meet Arts and Crafts,” according to Lurie. The three-and-a-half-story walk-ups will have a two- or three-car garage, three or four bedrooms, a covered rooftop terrace and the option of an interior elevator. The project architect if Jeff Dalton of Rowhouse Architects. The civil engineer is Mike Lavoy of Advantage Civil Engineering. Ten-foot-wide sidewalks will be provided along the street, Lurie said. A total of 75 parking spaces will be provided. Developers have also initiated discussions about a crosswalk and bike lands on Broadway, he said. There are also plans to restore the portion of Reed Creek that runs behind the development site, according to Lurie, to provide green space and a dog park. Prices for the townhomes have not yet been determined, Lurie said. Developers plan to start taking reservations for units in the first quarter of 2019. 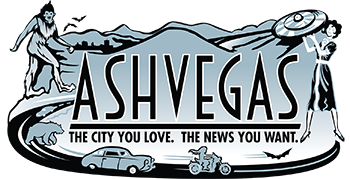 Developers have held a neighborhood meeting to get feedback, and plan to present plans to the Asheville Technical Review Committee in the next couple of weeks. There are two other announced residential development projects along Broadway. Last year Hobie Orton, a developer with Charleston-based White Point Partners, unveiled plans for a three-story, 46-unit apartment complex with some office space on the site of the former Bob Lawrence Power Equipment shop. The site has been cleared, but no construction has started. Also last year, Asheville City Council approved a plan by developer Hans Doellgast of Jade Mountain Builders to build a mixed-use development that includes affordable housing units and a commercial building. The site is a former gas station. Ground has not been broken on the project. Agreed, I wish the post office would stop pushing the street part! JB, I’m not sure what your point is. Yes, there are townhouses in Charlotte, and there are probably townhouses in every other medium to large city in NC. Townhouses are a traditional form of urban housing and could be a great addition to Asheville’s housing supply. That’s a nice rendering and the buildings are really good looking, with details that evoke historic forms and elements found throughout Asheville. We need more of this type of infill development. Or do you think this property should remain an underutilized gravel parking lot? Ummm! No, it’s asheville circa 2018. Welcome from wherever you moved from. Is the project a thirty-story blue glass box with blank beige walls at street level, no street activation whatsoever, and a massive parking deck? Then it’s probably not Charlotte. The mock-Tudor and faux-stone frontage is very McTownHouse. The bottom end of Broadway around Five Points is changing rapidly, but it’s going to be difficult to square off making Merrimon Ave and Charlotte St more multimodal with making Broadway’s frontage more residential. Any idea of the price point on these?